Want to have Sleek, Shine, Chemical Free Hair Like Wua? @ Sunway Pyramid, A Cut Above Academy. Check It Out How !! My hair condition is improved after using 3 month of using CW product & Acca Kappa Brush ! It really grow up to 3 hairs per pore! But from time to time my hair scalp becomes oily as above. Because a oily hair scalp will cause your hair pore clogged. It is your danger time !!!!!! Then you hair will start got dandruff , hair fall problem! Your face need oil control skincare, for your hair scalp need a oil control products as well! take care their hair based on their hair type? they have 3 ranges for Anti-Danduff. They believe Strong & Healthy Hair. Step 1 – Pre-Wash Nourishment, which I found that, it is very good for scalp. Step 5 – Hair Treatment. What's products that suit my hair condition? 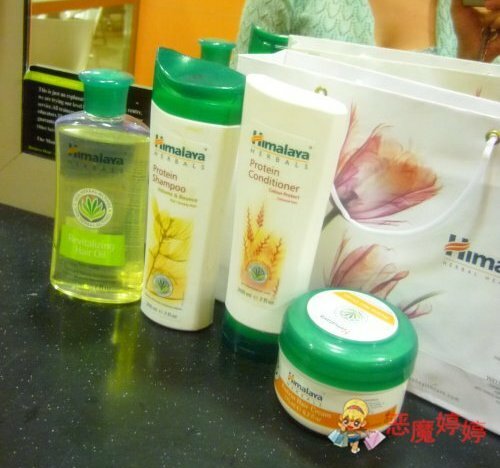 Full Range of Himalaya Shampoo Series! Remember to Pamper Your Hair Scalp as Your Face NOW! Hair Are Key to your Beauty as well! Woots ! Devil's hair so healthy !! 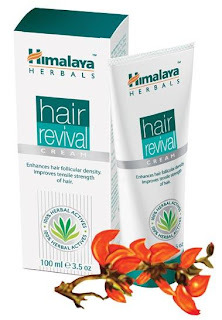 Sharon, We have the same Favorite product from Himalaya! Pre-Wash Nourishing Oil! Smile, Smile & Smile!